Around 52 per cent of wine served at high-end events at the British Foreign Office is now English. 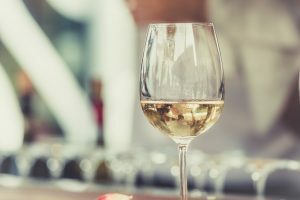 The government is increasing the number of wines made in England that they buy every year, as well as those served at official events. Ideal Wine Company take a look at why the shift to English wine has occurred. Figures show that 3,052 bottles of wine were bought during the last 12 months. Of these, 1,500 are English (equivalent to 50 per cent). Ten years ago, English wines in the government’s cellar consisted of only 20 per cent. How is the Government shifting to English wine? Miles Beale of the Wine and Spirit Trade Association is happy with this increase. He says: “We have urged government departments to ‘serve British’ and it’s great to hear that the FCO is stocking, serving and therefore supporting English wine. The government has had its very own wine cellar for many years. It’s looked after by the Foreign and Commonwealth Office (FCO) and is meant to be self-sustaining in financial terms. Wines are generally bought young and left to mature. The annual statement for 2015 to 2016 shows that the cellar boasted 33,669 bottles of wine and spirits. The total value for the cellar’s inventory was £800,000 as at March 2016. Wines are selected for use at each event, depending on what kind of event it is and who is invited. The more senior the invited guests, the better the quality of wine they are served. Wine producer Jonica Fox, who is based in East Sussex, is also pleased with the figures. She said: “The Foreign Office is now flying the flag for us all.” As the UK is now home to more than 500 vineyards and produces millions of bottles of wine every year, it looks like this is one industry that could thrive post Brexit.